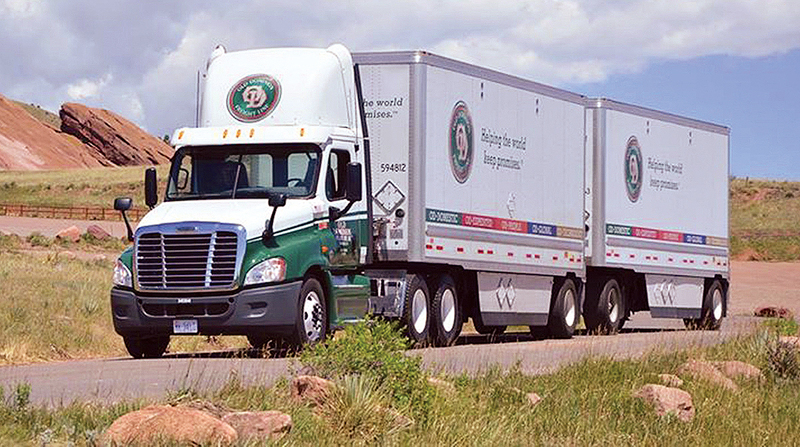 Old Dominion Freight Line Inc. on Feb. 7 reported strong fourth-quarter and full-year results. Quarterly revenue was $1.02 billion, a 15.2% increase from $891.1 million in 2017. For the year, total revenue was $4.04 billion compared with $3.3 billion in 2017, a 20% increase. The less-than-truckload carrier reported fourth-quarter net income dropped to $159.4 million or $1.96 a share, compared with $197.2 million, or $2.40 a share in 2017. The company said net income, while still strong, fell in 2018 because in 2017 it received a nearly $105 million net benefit as a result of the Tax Cuts and Jobs Act of 2017. For 2018, Old Dominion’s net income was $605.6 million or $7.39 a share compared with $463.7 million or $5.63 a share the year before. Old Dominion’s operating ratio in the fourth quarter fell to 78.7 from 83.9. On an annual basis, it dropped to 79.8 from 82.9. Operating ratio is a company’s expenses as a percentage of revenue and used to determine efficiency. The lower the ratio, the greater the ability to generate a profit.